Download "Privileged Choice Flex 2"
2 1 What is Long Term Care? Long term care (LTC) is the assistance or supervision you may need when you are unable to do some of the basic activities of daily living (ADLs) bathing, dressing, eating, continence, toileting and transferring. You also may need help because of a severe cognitive impairment that can be caused by Alzheimer s disease or other brain disorders. A need for long term care may result from: Accidents Illness Advanced aging Strokes Other chronic conditions Long term care can be received at home, in the community or in an assisted living or nursing facility. You may qualify for long term care insurance benefits if you can t perform two ADLs by yourself for at least 90 days or require substantial supervision if you suffer from a severe cognitive impairment. 4 3 What is Your Plan? Some people believe they can self-insure by allocating personal savings for long term care. Once you do the math, however, you ll see that long term care insurance coverage may be the better option. Ed s plan approximately $58,800. Ed is 50 years old, married and maintains his health. He has $1,900 to set aside for long term care each year. He is interested in comparing saving this money in a money market account to purchasing a long term care insurance policy from Genworth Life Long Term Care Insurance Self Insuring Coverage vs. Self-Insuring Ed puts $1,900 each year into a money $700,000 Privileged Choice Flex 2 1 market account. Self-Insuring His money grows at 4% each year net of taxes. 600,000 $561,100 In 20 years, he will have accumulated 500,000 $461,200 $682,600 Long Term Care Insurance Policy 400,000 Ed purchases a long term care insurance policy. His premium is $1,900 each year. 1 He selected the 4% compound inflation 300,000 protection option. In 20 years, he will have access to $682, ,000 to pay for covered long term care expenses. $324,000 $379,000 While putting money aside for your care is a great idea, you may want to look at maximizing that money by purchasing a long term care insurance policy. The national median cost of home care is nearly $45,000 annually and care in a facility could be even higher ,000 0 $2,000 $10,700 $23,700 $39,600 $58,800 1 Year 5 Years 10 Years 15 Years 20 Years 1 Assumes $4,500 Monthly Maximum for 72 months, 90 service day elimination period, 100% Assisted Living Facility and Home and Community Care, and no claims incurred for 20 years. All values are rounded to the nearest $100. Assumes premiums do not change over the life of the policy, and are not guaranteed. The payment of benefits is subject to all policy limitations, including Daily/Monthly Benefit Maximums. 2 Genworth 2012 Cost of Care Survey, conducted by CareScout, April CareScout is a Genworth company. 5 4 Why Genworth? Trust our industry-leading experience and expertise. Experience There is no substitute for experience. Genworth Life Insurance Company (Genworth Life) helped pioneer long term care insurance in Today Genworth Life leads the industry with more than 1,000,000 3 policyholders. # 1 in Individual Long Term Care Insurance Total Policyholders. 3 Product Innovation Genworth Life is an industry leader in the development of long term care insurance products. Our years of experience have allowed us to design products and services to fit our customers needs and a range of budgets, and help protect them and their loved ones. Education and Awareness Genworth Life also leads when it comes to understanding the costs of long term care. To learn about these costs in your area, visit genworth.com/costofcare. Commitment Paying benefits to families at the most critical moments of their lives is a crucial part of what we do. To date we have paid more than $8.1 billion 4 in long term care insurance claims LIMRA Individual Long Term Care Report. Based on Genworth companies share of in-force lives. 4 As of 6/2012. 6 5 Privileged Choice Flex 2 Put the power of choice in your hands with Privileged Choice Flex 2 from Genworth Life. This unique long term care insurance product allows you the flexibility to customize a long term care insurance policy that fits your wants, needs and a range of budgets. Throughout this brochure, you will find the Flex icon. It indicates places where flexible options are available to customize your plan. 3 We need to find a statistic that we can use to support people wanting to stay in their home to receive care. 7 6 Choice is a Wonderful Thing Privileged Choice Flex 2 gives you more choices to customize your care with home, community and facility options. Being able to make decisions about where you receive care is important. Privileged Choice Flex 2 gives you the power to decide. Many people in need of care feel most comfortable at home, near loved ones and familiar surroundings. Others may prefer a more social environment, such as an adult day care program. And some may require the advanced care provided in nursing or assisted living facilities (including dedicated Alzheimer s facilities). 8 7 Home and Community Care We care about the quality of long term care services you receive. That s why we want to make sure appropriately trained and qualified individuals provide your care. Home and Community Care Comprehensive coverage is provided for covered services received at home and in the community up to the Daily or Monthly Maximum you choose. Home Health or Personal Care Services Simple health care tasks, personal hygiene, managing medications, performing Activities of Daily Living, and supervision needed if you have severe cognitive impairment. These services must be provided by a Formal Provider. Homemaker and Chore Care Assistance with meal planning and preparation, laundry and light housecleaning, and minor household repairs related to your safety while you live in your home. These services can be provided by a Formal or Informal Provider. Nurse and Therapist Services Health care services provided in your home by a nurse or licensed physical, occupational, respiratory, or speech therapist. Adult Day Care Social and health-related services provided during the day in a community group setting outside your home. Formal Providers Formal Providers must be licensed or certified. They may be an independent provider or an employee of a Home Health Agency. Informal Providers Informal Providers do not have to be licensed or certified. They may be an independent provider of Homemaker and Chore Care or an employee of a Homemaker Agency. HOME AND COMMUNITY CARE BENEFIT OPTIONS 100% coverage 50% coverage These coverage percentages are based on coverage up to your Daily or Monthly Maximum. 5 5 The Daily and Monthly Maximums relate to the corresponding Nursing Facility Maximum you select. 9 8 Facility Care If the best place to receive care is not in your home, we offer flexible options for facility care. Facility Care Privileged Choice Flex 2 will pay for covered expenses incurred for room and board and care services in these facilities: Nursing Facility A licensed facility engaged in continual nursing care. Privileged Choice Flex 2 provides Nursing Facility coverage up to 100% of the Daily or Monthly Maximum you select. Assisted Living Facility A facility that provides continual assisted living care. ASSISTED LIVING FACILITY BENEFIT OPTIONS 100% coverage 50% coverage 6 These coverage percentages are based on coverage up to your Daily or Monthly Maximum. 6 In Kansas, 50% coverage for Assisted Living Facility Care is not available. 10 9 It All Starts with You Privileged Choice Flex 2 is designed to be tailored to your specific needs. Just use our simple Core 4 SM approach to create your customized plan. All you need to do is consider four basic choices: 1 Benefit Amount Determine the benefit amount you want for covered long term care expenses. You may choose to have benefits reimbursed for long term care expenses on a daily or monthly basis. Benefit payment limits are referred to as Daily or Monthly Maximums. When making this decision, it can be helpful to consider the current cost of care in your area. Genworth s Cost of Care Survey (genworth.com/costofcare) is one annuallyupdated source for this information. 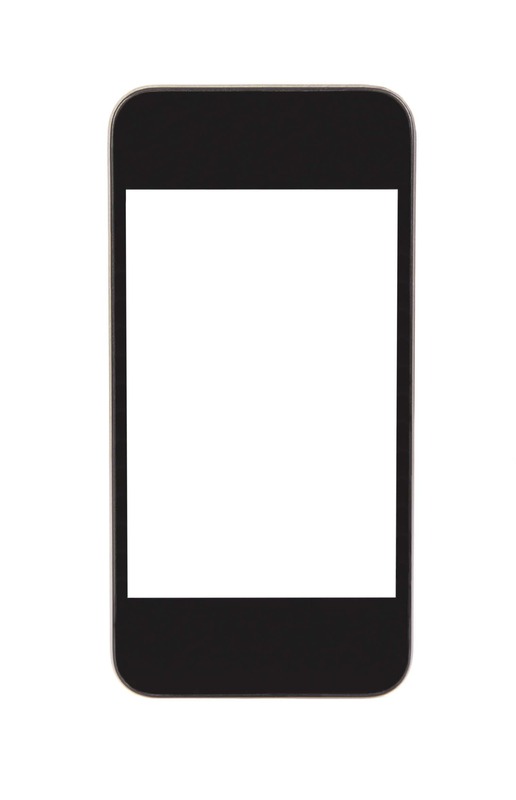 Going mobile? 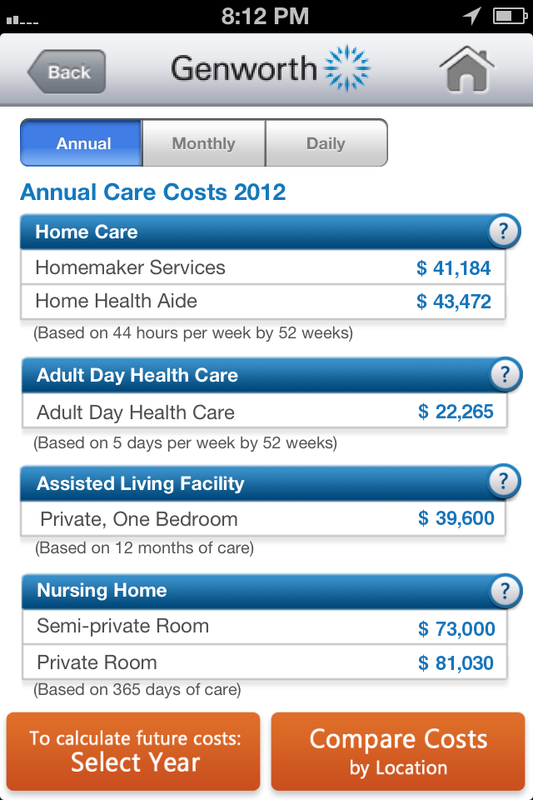 Download our free Cost of Care app on itunes today. The cost of care data is based on National median averages. Genworth Annual Cost of Care Survey, conducted by CareScout, a Genworth company. April BENEFIT PAYMENT OPTIONS 7 Monthly Maximum The maximum benefit available to pay for covered services received in a month. Range: $1,500 to $12,000 in $100 increments. Daily Maximum The maximum benefit available to pay for covered services received in a day. Range: $50 to $400 in $5 increments. 7 In Wisconsin, the minimums are either $60 daily or $1,800 monthly. In South Dakota, the minimums are either $100 per day or $3,000 monthly. 11 10 2 Benefit Multiplier Select a Benefit Multiplier. Benefit Multipliers can be in terms of days or months. The Benefit Multiplier, along with your Monthly or Daily Maximum, is used to calculate your initial Coverage Maximum, also known as your pool of money. This is the total amount of benefits available to pay for covered long term care while your policy is in-force. Example $5,000 Monthly Maximum 48 Month Benefit Multiplier = $240,000 Coverage Maximum (Pool of Money) In this example, the policyholder has $240,000 available to be used to reimburse covered long term care expenses. 8 MULTIPLIER OPTIONS Years Months Days Assumes policy is in force. Note that if the benefit payments you require are less than your Daily or Monthly Maximum, your benefits will last until your pool of money is exhausted. 12 11 It All Starts with You CONTINUED 3 Elimination Period Choose an Elimination Period, which is similar to a deductible. When you need long term care, this is the time period during which you must pay for your own care without being reimbursed under the policy. The shorter your Elimination Period, the earlier you may begin receiving benefits. If you are concerned about paying out-of-pocket for long term care expenses initially, you may want to choose a short Elimination Period. Calendar vs. Service Day Elimination Periods The following examples show 30 Calendar Day and 30 Service Day Elimination Periods. In both examples you receive physical therapy every Monday, Wednesday and Friday. The highlighted days are days that count toward the 30 Day Elimination Period. 30 Calendar Day Elimination Period 30 days after your first day of physical therapy, you will satisfy the Elimination Period. ELIMINATION PERIOD OPTIONS 9 30 Service Day Elimination Period Calendar Day Elimination Period begins with the first day you receive a covered long term care service and counts each day thereafter. You can choose from 30, 90, 180 or 365 days. Service Day Elimination Period only counts on days you receive covered long term care services. You can choose from 30, 90, 180 or 365 days. Since your Elimination Period is based only on days you receive long term care services, it takes you more than two months to satisfy your Elimination Period and 365 days are not available in Georgia, Kansas or South Dakota. 13 12 4 Inflation Protection Decide if you want inflation protection. This optional benefit helps your coverage keep up with the rising cost of care by growing your Daily or Monthly Maximum and pool of money. Compound or simple increases will be applied to your Daily or Monthly Maximum and remaining pool of money on each anniversary of your coverage effective date while the policy is in force. INFLATION PROTECTION OPTIONS Compound Inflation Option Your Daily or Monthly Maximum and pool of money will increase each year by 3%, 4% or 5% of the previous year s amounts. Simple Inflation Option Your Daily or Monthly Maximum and pool of money will increase each year by 5% of the original amounts. Future Purchase Option (FPO) 10 Provides an opportunity to increase your coverage by 5% annualized on every third anniversary of your coverage. Medical Underwriting is not required again to accept these offers. You may take advantage of these increases as long as you have not declined three consecutive offers. Each FPO offer you accept will increase your premium. Pool of Money $1,200,000 5% Compound 4% Compound 5% Simple 3% Compound 900,000 None 600, , Years in force The above chart is based on a $4,500 Monthly Maximum, a 6 year benefit multiplier, and assumes the policy is in force and that no claims have been paid over the period illustrated. The chart shows the effect of the benefit increase options on your pool of money. 10 Premiums are based on your then current age, the amount of your increase, and rates in effect as of the offer. Increases with FPO will not be available if your are chronically ill, on claim, or otherwise eligible for benefits. FPO is not available with Shared Benefits. 14 13 Options Available for Couples Survivorship For couples who both have this benefit for 10 consecutive years, after one insured dies, the survivor s policy will become fully paid-up. This benefit is no longer applicable if a claim has been filed under either policy during the 10-year qualification period. Shared Benefit The Shared Benefit allows you and your spouse/partner to combine your individual benefits to create a shared pool of money for covered long term care expenses. When this optional rider is purchased and both you and your spouse or partner apply for and are issued identical policies, both can share each other s pool of money. If you use all of your pool of money, you can access your spouse/partner s policy to continue receiving benefits. Even if you use all of the shared pool of money, your spouse/partner is guaranteed at least 50% of his or her original individual coverage. If you reduce your coverage amount any time after starting your policy, the guaranteed benefit will be based on the new reduced amount. In addition, with the Shared Benefit, if one of you qualifies for waiver of premium, neither of you will have to make premium payments to keep both policies in force. Couples Premium Our rates are specially designed with couples in mind. If you and your spouse or partner apply for and are issued coverage, you will receive lower rates than if you apply as an individual. How the Shared Benefit Works $400,000 is the total shared pool of money at time of initial purchase. Person A uses both pools of money for covered long term care expenses. Person B is guaranteed to have $100,000 for covered long term care expenses. A B A A B $200,000 $200,000 $400,000 $100,000 for long term care expenses TOTAL COVERAGE CLAIM EVENT 50% GUARANTEE Even though Person A used all of their shared pool of money, Person B is guaranteed to have access to at least 50% of his or her original pool of money to pay for covered long term care services. This example assumes Person B has not incurred a claim. This example also assumes policyholders do not reduce their coverage during the life of the policy. 15 14 Enhance Your Coverage While Privileged Choice Flex 2 comes standard with plenty of value, for an additional premium you can add the following options to create a policy that is uniquely personalized to your goals. 1st-Day Home Care 11 You can choose a Waiver of Home and Community Care Elimination Period so that payment for covered Home and Community Care services can start immediately. Transition Benefit Helps cover long term care expenses while satisfying the Elimination Period. This benefit provides a one-time lump sum payment equal to either five times the Daily Maximum, or 20% of the Monthly Maximum. This benefit is not available if you have selected 1st-Day Home Care. Refund of Premium Year Refund of Premium Benefit If you have been insured for at least 10 consecutive years, upon your death (while the policy is still in force), we ll refund your premiums, minus any claims paid, to your designated beneficiary. Restoration Benefit 14 If you receive benefits and then fully recover for 180 consecutive days, during which time you are neither eligible for benefits nor receive covered care, we will increase your pool of money by the amount of benefits paid and not previously restored. Nonforfeiture Benefit Provides limited protection if your policy lapses after this benefit has been in force for three consecutive years. This benefit provides you with a reduced, paid-up pool of money equal to the total of all the premiums you ve paid for your coverage or an amount equal to one month (30 days) of your Nursing Facility benefit at the time your coverage lapses whichever amount is greater. Graded Refund of Premium Benefit 13 If you die before age 75, and your policy is in force, we ll refund a percentage of your premiums, minus any claims paid, to your designated beneficiary. The percentage depends upon your age at death. It starts at 100% and begins decreasing 10% each year after age 65, until at age 75, when the percentage reduces to zero. 12 Refund of Premium is not available with Shared Benefits. 11 If you choose this option, the days you receive Home and Community Care benefits will also count toward satisfying your Elimination Period for Facility Care. 13 The Graded Refund of Premium Benefit is not available for applicants ages 65 and older. 14 The Restoration Benefit is not available with Shared Benefits. 16 15 Care Today and Tomorrow Today, with Privileged Choice Flex 2, we can help you achieve your wellness goals and find care for your loved ones. In the future, we can help plan and coordinate your long term care. We have joined forces with Mayo Clinic, one of the most trusted brands in health care, to offer Live+Well SM, a groundbreaking wellness program available to new long term care insurance policyholders. 15 Through Live+Well, we are committed to helping you live a long and independent life. Participating in the Live+Well program will provide you access to: A wide range of Mayo Clinic s premier educational information Tools and services that may help foster your lifelong health and wellness Personalized health resources A confidential, secure interactive online experience Caregiver Support Services CareScout provides Information and Referral Services that help you find and coordinate highquality, cost-effective in-home or facility care for your immediate family, even if they do not have long term care coverage. 16 You can conveniently research options online with a national database of more than 90,000 care providers. You also have access to a dedicated Care Advocate who will evaluate your loved one s situation over the phone and research the capabilities, availability and rates of local care providers which may save you time and money. An in-person evaluation by a registered nurse is also available for an additional fee. Should you need more comprehensive support, you ll also have access to health coaching programs to help you meet your ongoing health and wellness goals, as well as a 24-hour nurse line for more immediate needs. 15 Live+Well is a wellness program. It is not an insurance benefit. In WA, Live+Well is not part of the policy and may be discontinued at any time. 16 CareScout is a Genworth Financial business that provides professional elder care related support activities. 18 17 Included Features and Benefits Home Assistance Benefit This benefit provides a maximum lifetime reimbursement up to three times the Monthly Maximum or 90 times the Daily Maximum for the following: Caregiver Training Prepares an informal, unpaid caregiver (such as a person you live with, a friend or relative) to help care for you at home. Emergency Medical Response Systems Covers the installation and ongoing monitoring fees for a medical alert system. Home Modifications, Assistive Devices and Supportive Equipment May cover the purchase or rental and installation of items such as a ramp, grab bars or other supportive equipment. Alternate Care Pays for additional care, services, equipment or other items that are not otherwise covered under another benefit. If you, your doctor and Genworth Life all agree, and the items are reflected in your Plan of Care, you will be reimbursed for their cost, up to a mutually agreed-upon amount. Hospice Care Provides palliative care to alleviate your physical and emotional discomforts, and is available in your home or in a licensed or certified facility if you become terminally ill. You do not need to satisfy an Elimination Period to receive this benefit. Respite Care Gives your primary unpaid caregiver in the home a temporary break. Home and Community Care and/or Facility Care expenses are reimbursed for the covered care you receive during this time. There is no Elimination Period requirement. Benefits become payable as of the first day you qualify for benefits. Reimbursement is available for up to 30 days per calendar year. 19 18 Bed Reservation Pays to reserve your room or bed for any reason while you are temporarily absent from your stay in a covered facility. This can include time spent celebrating a holiday, visiting your family or temporarily entering a hospital. If you are charged a fee to reserve your accommodations in the facility, we will reimburse you for up to 60 days per calendar year for the life of your policy. International Coverage Reimburses covered care and support services received in an Out-of-Country Nursing Facility, not located in the United States as defined in the policy. You will be reimbursed for those expenses, up to 50% of your Daily or Monthly Maximum. In addition, the benefit includes covered care in a home for up to 25% of your Daily or Monthly Maximum each month for a maximum of 365 days. International Coverage benefits will not be payable after four years from the onset of your first expense under this benefit. Premiums will not be waived, and no other policy benefits will apply while you are out of the country. If you return to the United States, the remainder of your Coverage Maximum will be available. Waiver of Premium No premium payments will be due while you receive benefits for Home and Community Care, Nursing or Assisted Living Facility Care, Bed Reservation or Hospice Care. Contingent Nonforfeiture Gives you the right to reduce coverage or convert to limited paid-up benefits in the event of a substantial premium increase. Late Payment Protection In order to keep your policy in force you must make premium payments as specified in your policy. To help ensure that your policy doesn t lapse by mistake, you may designate another person for us to notify if we do not receive your premium payment on time. Protection Against Lapse Due to Impairment Provides a retroactive continuation of coverage for policy lapse if, within seven months after the lapse, we receive proof (acceptable to us) that you would have otherwise been eligible for benefits prior to lapse. In order to continue your coverage, you will need to pay all past-due premiums. 20 19 We Want You to Know Tax-qualified Long Term Care Insurance Privileged Choice Flex 2 is intended to meet the requirements for federally tax-qualified long term care insurance. As such, it reimburses covered expenses for qualified long term care services under IRC Section 7702B(b). As tax-qualified long term care insurance, your premiums may be deductible and the benefits you receive may be considered non-taxable income. For more information, consult with your attorney or tax advisor. State Partnerships for Long Term Care Your state may recognize this coverage as qualified long term care insurance under a Long Term Care Partnership Program. If so, you will receive appropriate disclosures of the status of your coverage, and what it means to you. Premium Payment Options To fit your budget and retirement plans, Genworth Life offer flexible payment options. You can pay your premiums monthly, quarterly, semi-annually or annually. 17 Premiums We have the right to increase premiums in the future, as stated in the policy. Premiums may not, however, be increased due to changes to your health status or age. Premiums must be paid as specified in your policy to maintain coverage. 30-Day Free Look This gives you the opportunity to review your policy and, if you are not completely satisfied, return it within 30 days for a full refund. Guaranteed Renewability Once you re insured, as long as you pay your premiums on time and do not exhaust your benefits, your coverage is guaranteed renewable and cannot be canceled except as may be provided by the Misstatement/ Incontestability Provision. 17 Although premiums are calculated on an annual basis, premiums may be shown on a monthly, quarterly or semi-annual basis. Annual premiums may be paid in advance at the beginning of each coverage year. However, your premiums may be paid on a more frequent basis throughout your coverage year. If you pay your premiums more frequently than annually (e.g., monthly, quarterly or semi-annually), there will be additional charges that apply. The more frequent the premium payment mode, the more charges you will incur. For example, the total annual premium paid on a monthly basis will be more than the total annual premium paid on a quarterly basis. As a result, the total annual premiums paid will be higher for Monthly, Quarterly or Semi-Annual payment modes than if you paid premiums on an Annual mode. For more information, please refer to the Modal Premium Disclosure in your Policy. 21 20 Additional Information Exclusions and Limitations After you qualify for benefits and satisfy the Elimination Period, charges for the care and services you receive are covered if they are consistent with your Plan of Care and received while your coverage is in effect. However, no benefits are paid for expenses incurred for: Care provided by a member of your immediate family (unless he or she is a regular employee of the organization providing the services, the organization receives payment for the services, and he or she receives no compensation other than the normal compensation for employees in his or her job category). Care for which no charge is normally made in the absence of insurance. Care that is provided by a Veterans Administration or Federal government facility, unless a valid charge is made to you or your estate. Care that is provided outside the United States, as defined in the policy unless specifically provided for by the International Coverage Benefit. Care needed as a result of illness, treatment or medical condition arising from: Non-Duplication Benefits will be paid only for covered expenses that are in excess of the amount paid or payable under: Medicare (including amounts that would be reimbursable but for the application of a deductible or coinsurance amount). Except for Medicaid, any other Federal, state or other governmental health or long term care program or law. This non-duplication provision will not disqualify a covered expense from being used to satisfy any Elimination Period requirement. Other Coverage 20 If you have other coverage that pays for long term care expenses, benefits that are otherwise payable to you will be reduced so that the combined benefits under all coverage do not exceed 100% of your actual expenses for covered care. Review the Outline of Coverage, and your policy, for state-specific details of the exclusions and limitations. War or any act of war, whether declared or not. 18 Attempted suicide or an intentionally selfinflicted injury. Alcoholism or an addiction to drugs or narcotics (except for an addiction to a prescription medication when administered in accordance with the advice of a physician) War or act of war is excluded in Oklahoma only when the loss originates while serving in the military or any auxiliary unit thereto. 19 In South Dakota, provided for treatment of alcoholism or drug abuse including any illness, treatment, medical condition or accident resulting therefrom. 20 This provision does not apply in Georgia or Kansas. 24 PRIVILEGED CHOICE FLEX 2 Read the policy for full information about product features, benefits and limitations. The descriptions contained in this brochure are not intended to be a substitute for the policy. In the event of a conflict, policy terms and provisions will prevail. This is a solicitation of insurance for policy form series Policy form number may be followed by the state s two letter abbreviation, for example, 8000DE, 8000GA, 8000OK, 8000WA. Not all policies are available in all states. Details about the costs, benefits, limitations and exclusions of these long term care insurance policies will be provided to you by a licensed insurance agent/producer. By responding, an insurance agent/producer will contact you. All applications are subject to the underwriting requirements of Genworth Life Insurance Company and are subject to change. Genworth Life Insurance Company has the right to increase premiums in the future, as stated in the policy. Premiums must be paid as specified in the policy to prevent lapse of coverage. Genworth, Genworth Financial and the Genworth logo are registered service marks of Genworth Financial, Inc Genworth Financial, Inc. All rights reserved. Insurance and annuity products: Are not deposits. Are not insured by the FDIC or any other federal government agency. May decrease in value. Are not guaranteed by a bank or its affiliates. John Hancock Life Insurance Company (U.S.A.) Florida. Long-Term Care Insurance. with a difference FOR USE IN THE EMPLOYER MARKET. How would you pay for long term care?